Look stunningly beautiful in this pastel green - green color half & half style saree embellished with zari embroidery patch border lace and moti work which makes it just gorgeous enough for you to be the center of attraction. 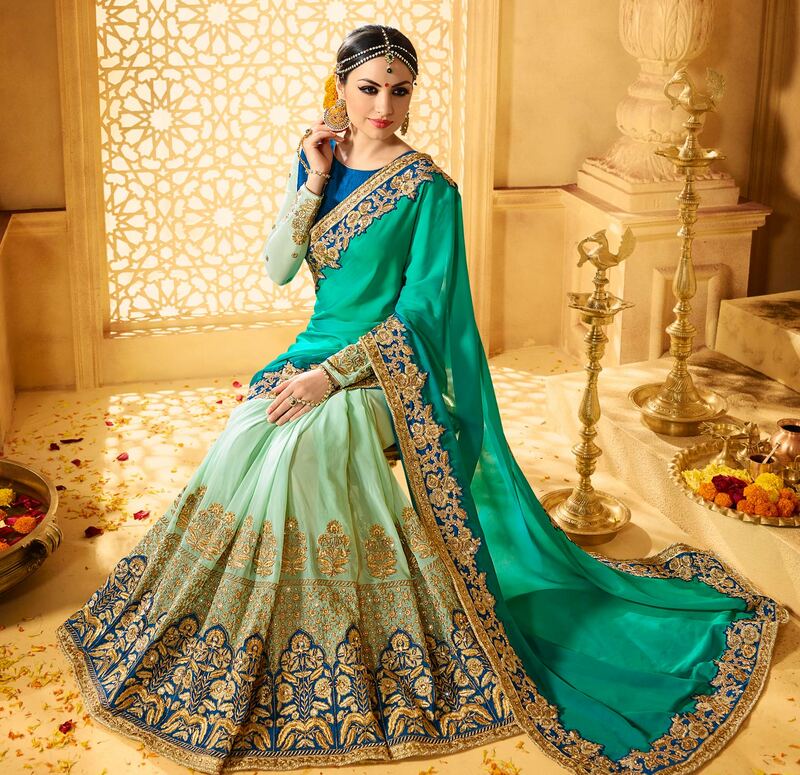 This designer saree is designed using fancy fabric and teamed with blue blouse unstitched blouse piece having sheer net sleeves detailed with motifs. 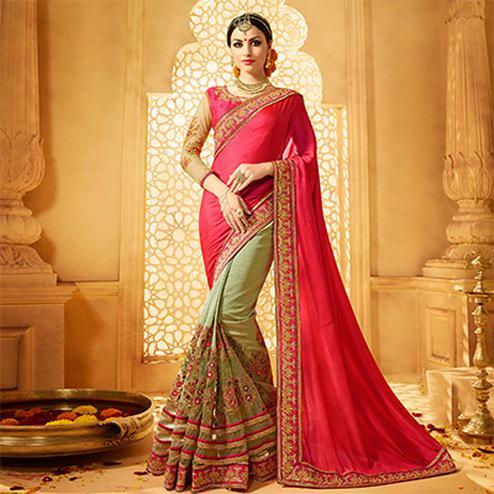 Women can wear this saree for wedding functions receptions and special occasions where you want to look impressive. Pair it with golden jewelry for an additional attraction.